Its time for the 2nd round of the 2015 BOSS GP Championship Season. 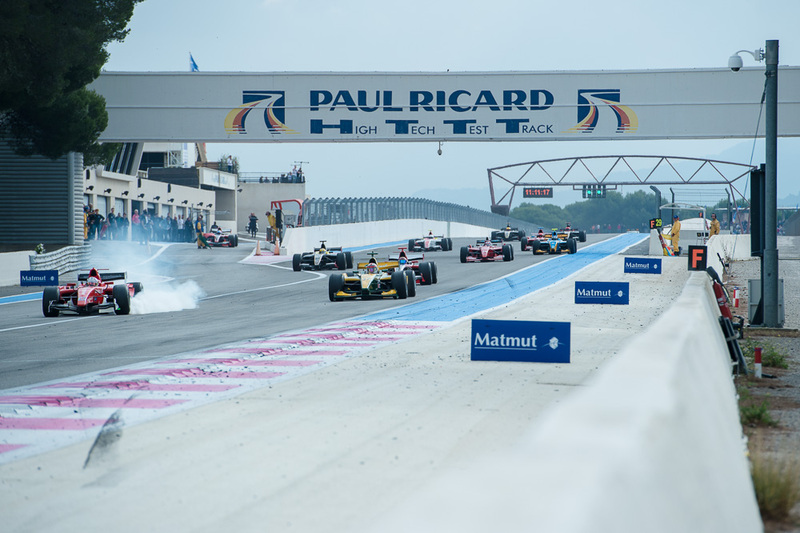 The second race takes place on the legendary former Formula One circuit of Paul Ricard in the South of France near Marseilles. This time the BOSS GP is part of the FFSA Historic Tour with over 400 participants, thereof 22 BOSS GP pilots like Veronika Cicha (CZ), the first woman in the history of BOSS GP. Another noteworthy newcomers are Stephané Richelmi (MC), the 2014 GP2 Monaco winner, and the local French heroes Didier Sirgue, David Moretti and Bruno Navarrete which celebrate their BOSS GP comeback. 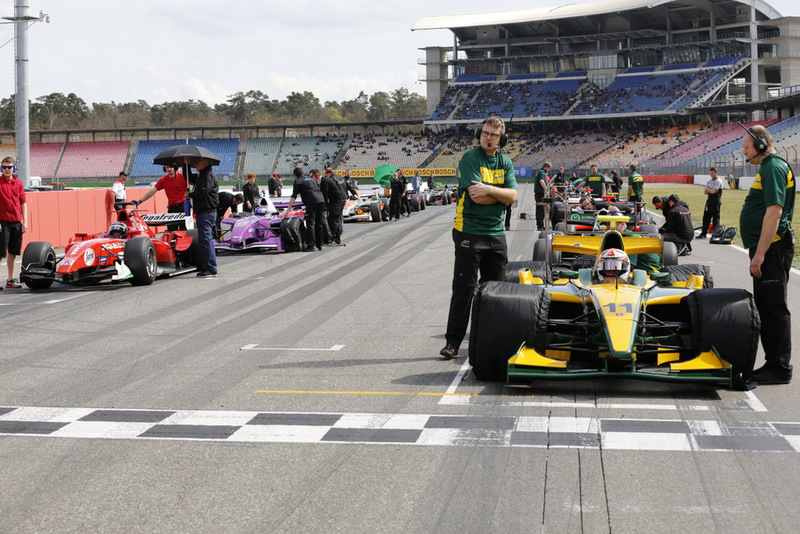 The “Bosch Hockenheim Historic – The Jim Clark Revival” from 10 to 12 April 2015 at the Hockenheimring saw over 500 participants in twelve racing series and presentation laps waiting at the starting line, giving visitors top-class racing and a unique journey through decades of motor sport history. The season opener to the classic-car scene was rounded off successfully with record attendance with the special exhibition all about racing legend Jim Clark and his world championship vehicle the “Lotus 33” and the meeting of historical racing car transporters. The event also featured a fantastic brand owner and enthusiast club area with hundreds of participants and an award ceremony right on the race track for the globally unique design prize from the Pforzheim University School of Design’s Transportation Design degree programme. Chief organiser Wolfgang Huter appeared highly satisfied after the event on Sunday night, highlighting the successful partnerships with Bosch, Allianz and their partners and was delighted to announce a record 22,000 visitors: “It shows us that we are in a great position thanks to our range of themes and the family-friendly concept. We were also able to begin preliminary discussions at the weekend regarding an exciting racing series from England for 2016. The impressive ‘BOSS GP’ series once again offered an excellent example of spectacular motorsport. Standing for Big Open Single Seater, it was a showdown between 21 of the the most powerful formula cars ever build. 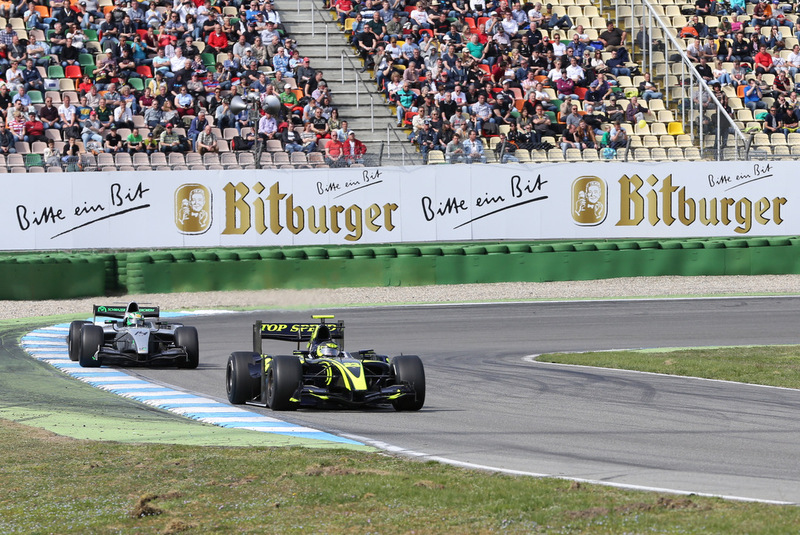 The FIA registered BOSS GP Championship is today one of the World’s fastest and most exciting racing series as the drivers demonstrated this once again during the Bosch Hockenheim Historic. Klaas Zwart impressed here, blazing around the track in his Cosworth powered three-litre Jaguar R5 in a time of just 1 minute 26.599 seconds. 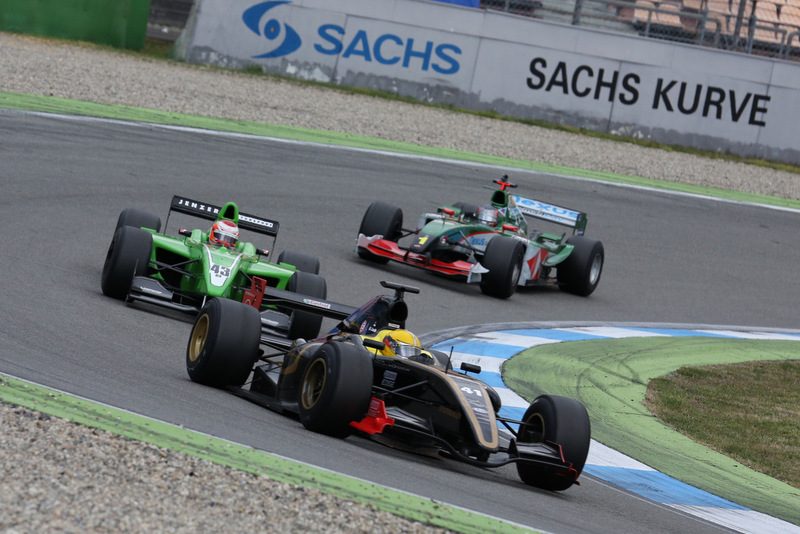 The first two Championship races of the 2015 season were won by Dutchmen Klaas Zwart (Jaguar R5 F1) and Austrian Johann Ledermair (Dallara GP2). The Dutch Youngtimer Touring Car Challenge (YTCC) for touring cars made before 1990 delighted spectators once again with a full starting grid and thrilling motor sport. There was also a fascinating duel between BMW and Porsche in the “DRM Classic Cup” racing series. The Sachs-Kurve was filled to the rafters as the competitors’ engines rumbled at the start and finishing straight of the “SuperSportsFestivals”. The merger of the “SuperSportsFestivals” and “Canadian-American Challenge Cup” racing series presented an impressive variety of sports prototypes with a capacity between two and over eight litres. There was incredible excitement once again at the “FIA Lurani Trophy” race for Formula Junior racing cars. All of the drivers of the 1100 cc small single-seaters demonstrated top-notch driving skills. As in previous years, the Brabham BT6 dominated. “Having this range of motor sport at your fingertips is what the Bosch Hockenheim Historic is all about. The open paddock in particular proved to be a magnet for all of the fans who took the opportunity to admire the fascinating cars up close. And our ‘market place’ on the pit roof was also incredibly busy”, said Georg Seiler, Managing Director of Hockenheim-Ring GmbH, delighted by the weekend. “The third meeting of historic racing car transporters and historic service trucks, organised for the first time in collaboration with Porsche Zentrum Mannheim Penske Sportwagenzentrum GmbH, was hugely popular and with 24 vehicles in total was the largest gathering of these rare vehicles in Europe”, beamed Tobias Aichele, coordinator of the meeting, after the three days of almost stable weather. The Opel Blitz was one of the highlights of the Porsche Museum. This re-creation of the famous Porsche racing service vehicle also landed the coveted Pforzheim University School of Design trophy. Along with their students, Professors James Kelly and Horst Fügener once again distinguished the finest exhibits of Formula cars, GT and touring cars, sports prototypes and historic transporters. Winners included Harry Read with the McLaren M8C sports prototype, Harald Fuchs with the Toyota Formula 1 TF108, once dr iven by Timo Glock, and Michael Kammermann from Switzerland with the BMW M1 Procar. “The Bosch Hockenheim Historic is the only event which appreciates the beauty and the design of racing cars to such an extent”, emphasised Kelly at the awards ceremony. The next event is just around the corner: the organisational team is already looking forward to continuing the Bosch Hockenheim Historic – The Jim Clark Revival in 2016. Hockenheim Historic: Are you ready? It is once a gain time for the grand BOSS GP season opening on the hockenheim circuit in germany. Like every year around april thousands of motorsport enthusiasts travel to hockenheim to remember two times Formula One world champion Jim Clark, who died 47 years ago in 1968, and experience motorsport in its purest form. Over 500 historic race cars and direct pit access are only two of the many highlights visitors can expect on the 11th and 12th of april 2015. 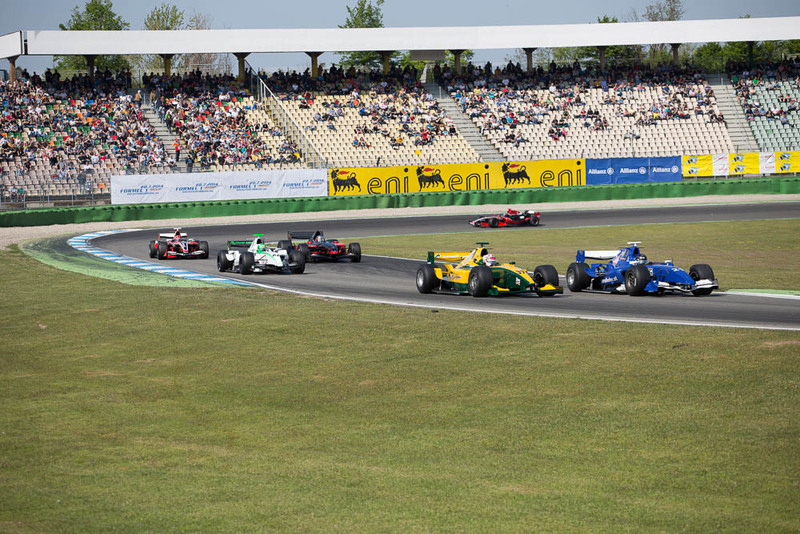 Ladies and Gentlemen, start your engines, join us in hockenheim and enjoy 50 years of motorsports.